Marriage License! Steven and I are going this afternoon to get our marriage license. This just makes me so excited because it's practically the last thing to do on our list before tying the knot. Things are getting real, and I'm so crazy happy! My bachelorette trip! My girls and I are heading to Nashville next weekend to do it up big one more time before I'm a married woman. I'm crazy excited about the trip for many reasons, but mostly because it's a weekend that all my girls will be in one place together. After college we all moved away to various states, so I don't get to see those girls nearly as much as I would like. Seriously, can't wait!! If you happen to be in Nashville next weekend and see a blonde all dolled out in her tulle veil and sash, that will be me. I will be the bride who goes all out on bachelorette attire! Wedding weekend! The celebrations will start Friday at the Bridesmaid Luncheon, continue into Friday night for the Rehearsal and Rehearsal Dinner, all day on Saturday (the big day! ), and then wrap up on Sunday at our Farewell Brunch. It's a weekend that all of our friends and family, both sides, will be together to celebrate this amazing time in our life. It will be a time for fun, laughter, and happily ever after! Our wedding! It's only 29 days away, and to say I'm excited would be a vast understatement. I can't believe we are already in the "20s" on our countdown. YIKES! So much left to do!! This is a day that I have literally been waiting for since I was a little girl. I am beyond lucky to have found such an amazing man to marry, and I can't wait to become his MRS. in less than a month! Honeymoon! After all the wedding celebrations are over and done, Steven and I will be jumping on a plane and heading to Jamaica for the week. After all this stress and wedding planning that we've been enduring for the last 16 months, a week of relaxation (and as much as we can eat and drink!) is exactly what we need. Our days will be spent lounging at the pool or on the beach with drink in hand. Our nights will be filled with delicious food and entertainment. I am so looking forward to this trip! Our first vacation as a married couple! Nashville is the best. Be prepared to go up on stage and sing/dance in every bar!! YOU WILL LOVE IT! :) The way your husband to be proposed to precious! You are going to be having so much fun these next few days! Congrats! Less than a month away!! Eeek!! 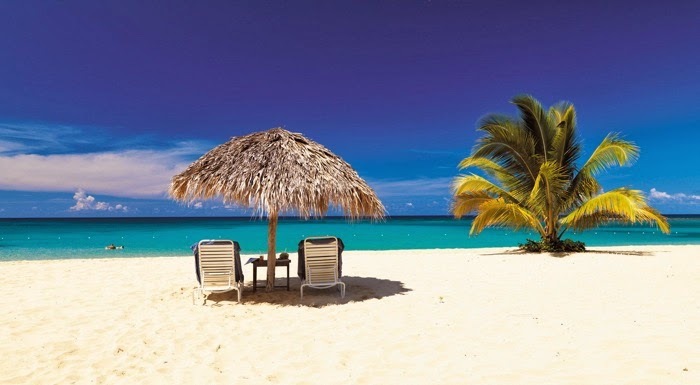 Jamaica sounds like a perfect Honeymoon spot! Such an exciting time for you -- congratulations! And Jamaica sounds wonderful right about now! this is making me want to get married all over again! YAY for honeymoons! good luck with the planning! 29 days! wahoo! I can't wait to see pics from it all. and it will be here before you know it. Love this - how exciting!!!!!! The real countdown begins! It probably is starting to feel more real than ever before. Where in Jamaica are you two going? I remember when we went to get our marriage license. It felt so....real!!! Sounds like you have a lot of excitement in the next 29 days!!! I love that you are doing a brunch before you leave! yay, how exciting to get your marraige license today! How exciting!! Enjoy this time! A wedding weekend is right!!! You did it up girl! Too bad Mike was so hungover on the day after our wedding I had to undecorate and clean up alone. haha. I'm excited for you!!! I can't believe it's only 29 days away! I'm so excited to see all of your pictures & hear all about it. So exciting! I have 2 more months left until my wedding. It still seems so far away from where you are in the process now! How fun! OMG! I love this post... just discovering your blog! Such an exciting time for you... CONGRATS!! Oh my goodness it's getting so close!! I cannot wait for you!